SEATTLE, WA – It was the War to End All Wars. 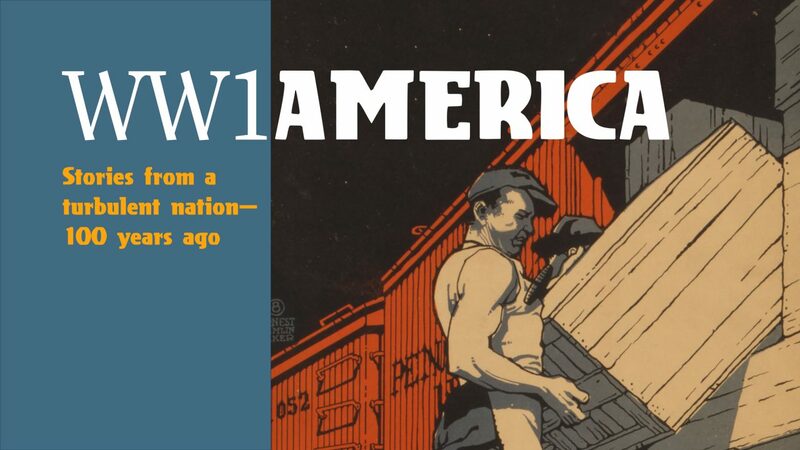 Now Seattle’s Museum of History & Industry (MOHAI) presents WW1 America, featuring how this tumultuous conflict transformed the country and the world. Making its West Coast debut at MOHAI, the exhibit opens on Sept. 1, 2018 and tells the extraordinary stories of Americans—both the legendary and the unsung—during this turbulent time. The exhibit will coincide with the centennial of Armistice Day on November 11, the day the war ended and a day of international observance in 2018 (known in the US as Veterans Day). MOHAI will honor veterans and active duty military with free admission on First Thursdays to the WW1 America exhibit from September 2018 through February 2019 as well as every day during the Veterans Day weekend of 2018. Developed by the Minnesota History Center in partnership with the National Constitution Center, the National World War I Museum and Memorial, the Oakland Museum of California and the Bob Bullock Texas State History Museum, WW1 America illustrates how the past can help us understand ourselves and our nation today. The rapid growth of our industrial economy, the militarization of the Puget Sound, the rise of the women’s movement, the battle over civil rights, the specter of anti-immigrant paranoia, the devastating public health challenges of the Spanish flu, and the post-war labor struggles that culminated in the Seattle General Strike of 1919 are all examined in this exhibit. The Great War that began in Europe in summer 1914 quickly drew in all parts of the world—including the United States, even though the country did not enter the war until April 1917. The World War I era—1914 to 1919—was transformational. America emerged as a confident global superpower, but the war also led to deep divisions and conflict that threatened to tear the nation apart. President Woodrow Wilson reflected the common opinion that the war was a strictly European problem when he vowed that the country would remain “neutral in thought as well as deed.” But even though America itself was not directly involved with the war at the outset, Americans were. They volunteered as soldiers, aid workers, aviators, and ambulance drivers. They shipped millions of tons of humanitarian aid–mostly flour and other food supplies–to war-ravaged Europe. American manufacturers, bankers, and farmers profited from sales to warring countries. In this country, fierce debates raged about whether America should aim for peace or prepare for a war that was beginning to knock at its doors. All hope of building a massive all-volunteer Army faded soon after America’s declaration of war on April 6, 1917. Six weeks later, enlistees numbered just 73,000–while the generals were demanding millions. Although the US declaration of war came in April 1917, months passed before sufficient numbers of recruits and draftees were outfitted, trained, and put on ships bound for the battlefields of France. The American Expeditionary Force’s (AEF) first significant battle came in May 1918 at Cantigny, near the Western Front, but then action started to shift eastward. The major American engagements of the war were at Belleau Wood and Château-Thierry in the Marne Valley, east of Paris (June-July 1918); the St. Mihiel Offensive (September 1918); and finally the long and bloody offensive in the forests of the Meuse-Argonne (September-November 1918), in which more than 26,000 American soldiers were killed–about half of all American combat deaths in the war. Women-run voluntary organizations mobilized to support the war effort, thousands of women served in Europe both in the military and as civilians, and many women entered the workforce for the first time to replace the men who enlisted. This mobilization further fueled the fight for women’s suffrage. Bertha Knight Landes, the first female mayor of a major American city launched her political career in Seattle through civic activism during WW1, leveraging women’s clubs to support the war effort through fundraising and the Red Cross. One of the most powerful leaders of the American women suffrage movement was Alice Paul. Paul was the driving force behind the 1913 Woman Suffrage Procession–a demonstration by nearly 8,000 participants in Washington, DC, on the day before President Woodrow Wilson’s first inauguration. In 1916, she broke with other women’s groups and founded the National Woman’s Party (NWP), a militant organization that campaigned exclusively for a constitutional amendment granting women the right to vote. Paul led the “Silent Sentinels” in picketing the White House, and, like many other protesters, was arrested and incarcerated for “disturbing the peace.” While in jail, Paul began a hunger strike to protest the brutal conditions and was force-fed by jail officers. The war years coincided with rapid changes in American popular and consumer culture. Higher wages and increased demands for automobiles and “must-have” household goods like gramophones and electrical appliances fueled a boom in the American consumer economy. This was the first generation to experience recorded sound. A vast recording industry appeared almost instantly, though parlor pianos and sheet music remained immensely popular. As movies became mainstream, big-budget entertainment, live performance traditions like vaudeville were overshadowed. Popular culture provided–as it always does–an escape from the grim realities of the time. But the war still loomed over Americans’ leisure time through songs like “Over There” and movies like Charlie Chaplin’s “Shoulder Arms” and Mary Pickford’s “The Little American”. In 1918 and 1919, the war-shaken world was engulfed by an even more deadly disaster–a pandemic of influenza that claimed as many as 100 million lives worldwide. The disease spread quickly through crowded military camps and was carried around the world by people returning from the war. In the United States, the disease came in two waves between September 1918 and June 1919 and claimed an estimated 675,000 lives, almost fourteen times the number of US combat deaths (or almost seven times the number of military deaths during the war). The flu arrived in Washington State in October 1918 with the troops returning to Camp Lewis from the war. Within days, the disease spread throughout the region, and within months proved fatal for 1,600 residents. With little information on how the flu spread, Seattle’s mayor banned all public gatherings including schools, churches, and theaters. The epidemic had an enormous impact on the American armed services, both here and abroad. Of the 118,000 deaths of US men in uniform during the war, more than 65,000 resulted from influenza and its complications rather than from combat. The “Great War” came to an end with the Armistice, signed at the 11th hour of the 11th day of the 11th month in 1918–more than four years after the war had begun. American troops had suffered tremendous losses in the two months leading up to this moment–all the more tragic, since Germany had been effectively crippled since early September. The climactic Battle of the Meuse-Argonne resulted in the highest number of American combat deaths in history. But now, the war was over. Nearly two million American troops started to return home in January, crowded onto transport ships no longer threatened by enemy submarines. But the joy of victory was already being dashed by the brutal violence and chaos sweeping the country in 1919. No longer in uniform, millions of young men were eager to return to get back into jobs. But with a sharp drop in government orders, factories needed fewer workers. In just one year–1919–the country was convulsed by 4,000 strikes, involving nearly four million workers, or about one in five members of the entire work force. Tensions erupted in the historic Seattle General Strike of 1919 and laid groundwork for a transition in local labor policies. Issues like living wage, housing, and the idea of solidarity ring just as true today as it did then. Business and government officials cooperated to suppress many of these strikes, often calling on National Guardsmen just back from the war, some of them manning new machine guns. Labor organizers and strikers–many of them recent immigrants–were condemned as socialists and radicals, playing on public fears of Bolsheviks and violent anarchists. There were more than 300,000 documented cases of American soldiers in World War I who returned home with disabilities, men who “paid with their bodies,” as Theodore Roosevelt wrote in 1918. Although many suffered from blindness and amputations, the most common problems by far were the less visible disabilities of gas-induced tuberculosis and psychological damage (what at the time was called “shell-shock,” today is known as post-traumatic stress disorder). Many disabled veterans felt abandoned by the nation for which they had sacrificed so much. In response, new institutions were formed to lobby for veterans’ issues, such as the American Legion and Disabled American Veterans. Rehabilitation efforts also spurred advances in prosthetic technology and reconstructive surgery. WWI was a watershed time in the size and extent of local businesses and industry as the Puget Sound region’s economy shifted from natural resources to manufacturing. This transformation, along with the federal militarization of the Puget Sound, elevated the region to a national presence and set the path for today’s economy. The broad impact and lasting results of World War I extend across culture, politics, and society. Consider America’s ascendance as the leading global power, the transformation of world economies, the rise of humanitarianism and the peace movement, the end of empires and the rise of nation-states, the emergence of Communism, disastrous realignments in the Middle East and Africa, the creation of massive and lethal technologies for destruction: for better and for worse, the world we live in today was profoundly shaped by the Great War. Generous support for WW1 America is provided by The State of Washington, The Boeing Company, Seattle Office of Arts & Culture, The Simpson Family Fund, 4Culture, and MOHAI Exhibits Fund. Media sponsors are The Seattle Times, and KCTS 9. The promotional partner is Visit Seattle. (Details are subject to change, and additional programs and events may be added). Celebrate the opening of WW1 America exhibit on this family-friendly day. Enjoy performances, craft activities, story time and much more! Please check the website soon for updated details. On October 3, 1918, the worldwide Spanish influenza epidemic arrived in Seattle, with 700 cases and one death reported at the University of Washington Naval Training Station. Learn about the initial deadly influenza outbreak during this special program, along with information about how to stop the spread of the modern flu. Please check the website soon for updated details. This family-friendly program is generously supported by Bartell Drugs. Celebrate the WW1 exhibit with fellow members and friends at this after-hours reception that kicks-off MOHAI’s Armistice Day Centennial commemoration weekend. Not a member? Join today to RSVP! Membership at MOHAI guarantees year-round, unlimited access to riveting stories while preserving the artifacts and stories that shape Seattle history and innovation Learn more at MOHAI.org/join-and-support/#membership or call (206) 324-1126, ext. 194. An Armistice Day Centennial Celebration will provide an opportunity for a regional commemoration of the end of the Great War. The commemoration will begin at the 11th hour on the 11th day of November, with a ceremonial ringing of bells including the iconic Seattle Fire Bell of 1890, which has not been officially rung this century and will be heard for a radius of 10 miles. Following the ringing of the bells, celebrate the declaration of peace inside the museum with live music, special presentations and family-friendly activities throughout the day. The weekend will culminate with a panel discussion moderated by retired journalist Enrique Cerna, and a panel of keynote speakers of national prominence. Please check the website soon for updated details. MOHAI is located at 860 Terry Ave. in Seattle. Exhibit gallery hours are 10 a.m. to 5 p.m. daily. Admission is free on first Thursdays to MOHAI’s regular galleries and open until 8 p.m. (WW1 America will be accessible at a special rate on first Thursdays of $14.95 for adults, $12.95 for students/seniors and free for active duty military and veterans). Admission to WW1 America is included with regular MOHAI admission of $19.95 for adults, $16.95 for seniors (62 and above); $15.95 for students and military (with ID); free for children 14 and under (when accompanied by an adult) and MOHAI members. As part of the Museums For All program, low-income families can visit MOHAI for a minimal fee of $2 per person with the presentation of an Electronic Benefits Transfer (EBT) card. For more information, call (206) 324-1126.